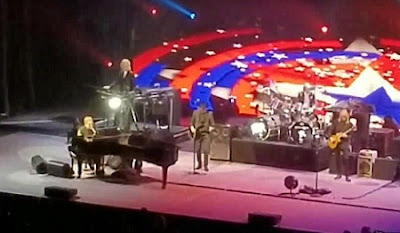 Elton John's piano was off-key during a concert on Saturday night. And the 70-year-old musical legend appeared to get flustered at the malfunction at his concert in Evansville, Indiana's Ford Center. 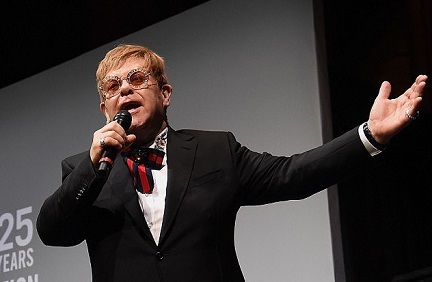 Elton was plodding through a rendition of his 1975 hit Philadelphia Freedom when he noticed something was askew, alerting his sound engineers to the issue, in a clip posted Sunday by TMZ. 'Hang on, hang on - something's gone wrong here,' the English rock icon said, growing impatient as the problems weren't remedied fast enough for his liking. He barked at his crew, 'Come on you a******s! That's no good,' before explaining to the crowd that his restlessness was for their benefit. After about a 10-minute delay, specifications were brought to the Rock N' Roll Hall of Famer's liking, and the show continued, with Elton redeeming his crew after the crotchety outburst.